Netflix may not have any advertising on its streaming service, but it is no stranger to marketing. The company has quietly become one of the biggest advertising buyers in the entertainment industry — and that spend continues to grow as the company ramps up its original programming efforts. 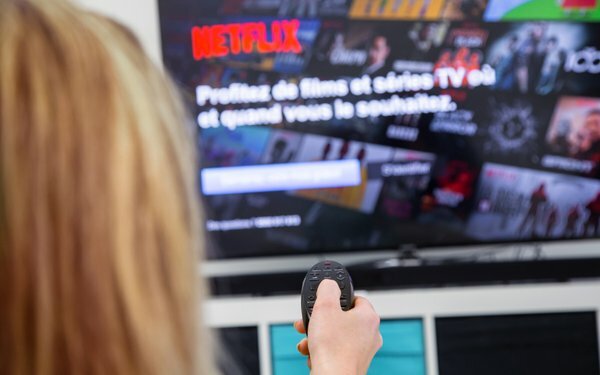 According to Netflix’s latest 10-K filing with the Securities and Exchange Commission, the company spent just over $1.8 billion on advertising in 2018. That is more than twice as much as the company spent in 2016, at $842 million on advertising, and a significant jump of 65% from 2017, with $1.09 billion on advertising. The company’s marketing spend is actually accelerating at a faster pace than its content spend. The company spent $8.9 billion on content in 2017 and $12 billion on content in 2018, a 35% increase. As Netflix spends more on original TV shows and movies like ”Bird Box,” the company realizes it needs to do more to help promote and differentiate those offerings. Given its worldwide presence, it has scaled its advertising efforts globally to highlight local offerings and propel global IP. “We have definitely leaned more into marketing ... As we create more and more of these titles that no one has heard of, we're going to need to lean a little bit more on promotion, and the website can't do it all,” Netflix’s then-CFO David Wells said last year on an earnings call. Netflix executives paint a streaming landscape with a variety of competitors. Some like YouTube are free and ad-supported. The company maintains that by remaining ad-free, it maintains goodwill among its subscribers.